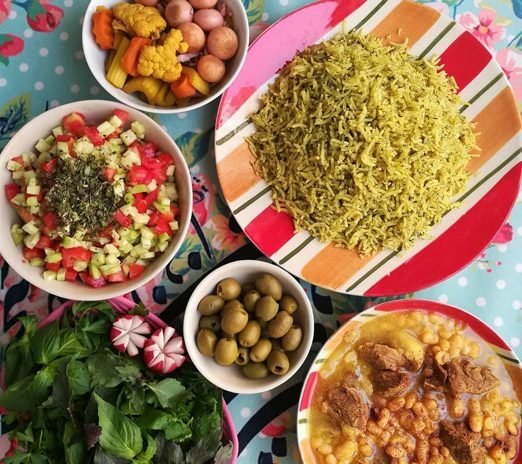 Meat & Bean, a delicious dish made with meat, beans, rice and dill, is one of the main and traditional foods of the city of Kashan in the central Iranian province of Isfahan. The food is not only yummy and pleasant-smelling, but is nutritious as well. 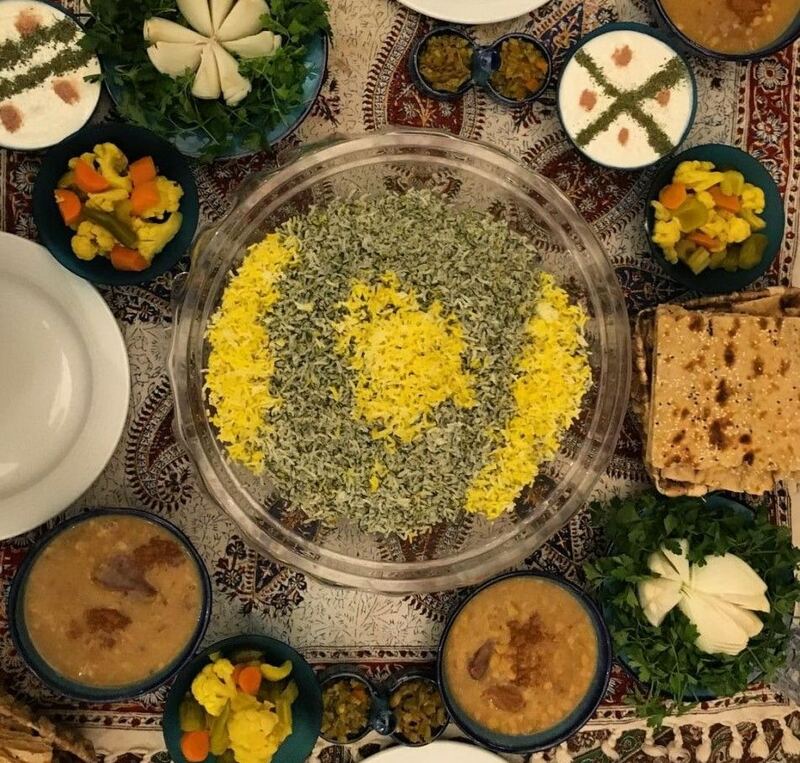 In Kashan, Meat & Bean is served on religious occasions along with rice mixed with dill. Lamb meat on the bone: 250 gr. Chop the meat into big pieces and wash them. Add the white beans, which have lied in water since the night before, to the meat, onion and potatoes. Then add turmeric, salt and pepper, and put the mix on the flame to be cooked. When the stew begins to boil, turn down the flames until the meal is cooked through. Put the tomatoes into the stew since the very beginning, so that it is cooked through and goes soft. This food is served with herbs or pickles or salad.